Providing dancers with affordable and elegant dancing apparel is our mission at Dorothy's Dance Shop of San Antonio, Texas. 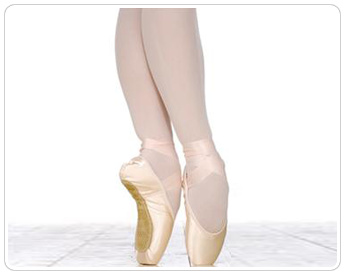 We offer everything from ballet shoes to tights for women, men, and children. At Dorothy's Dance Shop, our mission is to help all ages and levels find the gear they need at the right price. We are focused on helping people in San Antonio, Texas, and locations throughout the world, find what they need to practice and perform at their best without breaking their budgets. Many of our items can be purchased for up to 25% below retail cost. Find what you need to master the fine art of dancing. We offer discount dance shoes, body wear, tights, and other apparel for both men and women. All of our employees are either dancers or instructors, and can help you find the perfect ensemble for your next class. Dorothy's Dance Shop offers the items you need to put on your best performance, while staying below the average industry prices. Our team of skilled dancers and instructors know what works on stage, and only offers items that present true value to professional dancers.